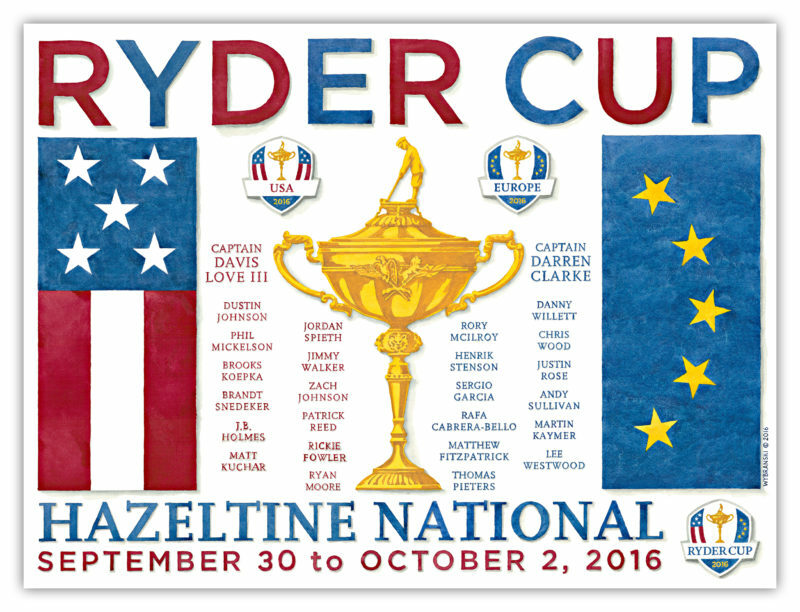 Lee’s 2016 Ryder Cup Team Original includes all members of both Team USA and Team Europe. Ryan Moore was the last team member added to Team USA and was painted that evening while Lee was onsite at Hazeltine National. Watercolor painting on Arches cold pressed paper, framed in museum quality materials. The artwork can also be purchased unframed.